The grass at your feet is more green than we thought could grow in sand. Overhead, the summer sun shines down from a blue sky that looks like the ocean inverted, reflecting brightly on the whitewashed Cape Cod style house and barn. Your chair -- crafted from staves, the bent wooden pieces of what was once a barrel -- sits beneath the stately branches that hang from one of several old trees. Not a mile from the sea, a cooling breeze wafts through the yard as you put a cocktail to your lips. You went for the Pain Killer this time, a delightful mix of orange and pineapple juice, coco lopez, shaved nutmeg, and... Twenty Boat Spiced Rum. It was a tough decision between that and the slush lemonade made with Dry Line Gin. It's the height of summer, and you're quickly finding that there are few better places to spend an afternoon than in lawn of South Hollow Spirits at Truro Vineyards in North Truro, Massachusetts, out nearly to land's end and the tip of Cape Cod. As the first distillery established on Cape Cod since Prohibition, South Hollow gushes local flavor and character. From the Twenty Boat monicker that adorns its rum and honors the spirit of Cape Cod rum runners of old, to the Atlantic Spice Company fineries that steep in every batch of spiced rum and gin, and the local artists who have fashioned the labels on each bottle, it is clear that the owner-distiller-winemaker Roberts family cares deeply about their craft as an expression of the small seaside community that it calls home. Looks deceive in the distillery itself. 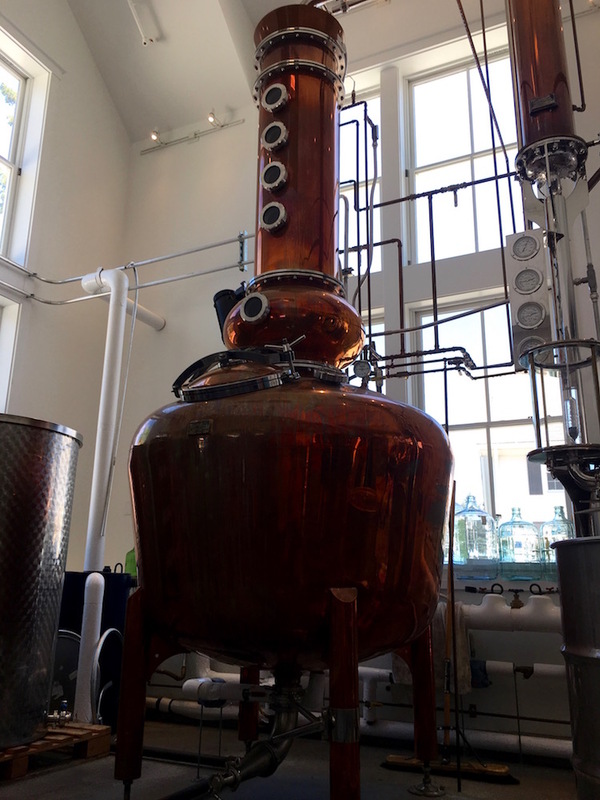 A large white barn-like structure at the foot of the cracked-white-shell-covered driveway is actually home to a magnificent copper still that rises several stories from the main level. It's not hard to imagine running this thing all day, all night, all year to meet what we'd expect the demand to be as more people discover South Hollow, and as South Hollow adds new spirits to the lineup. Traditional wooden barrels filled with Twenty Boat Amber Rum age peacefully up the stairs, a revelation that led us to confirm that this "barn" is in fact a ridiculously well re-enforced structure built around a veritable bomb (the still) downstairs, and the tremendous weight of barrels upstairs. Back in the yard, a little cottage serves as an outdoor-facing tasting room where visitors sample neat and then order from an ever-changing menu of rum and gin based cocktails. Wine by the glass is also on offer from the vineyard side of the house. A food truck from local fine dining favorite Blackfish offers a bite to eat, though many visitors bring a picnic to spread upon the wooden tables (Salty Market down the street will be happy to provision you). Adirondack chairs dot the perimeter, each with its own occupant seeming utterly delighted by the cocktail they're drinking and the gem of an idyllic summer afternoon they just discovered. A new edition to the lineup in 2016, Dry Line is part of a special group of only about 5% of gins that are cane based (most are grain based). The nose is soft, characterized by black spice, licorice, light citrus notes. A surprise for casual spirits drinkers, it actually feels rather creamy in the mouth. We love how approachable it is for non-gin-drinkers, yet very much unique as to be attractive to afficianados. 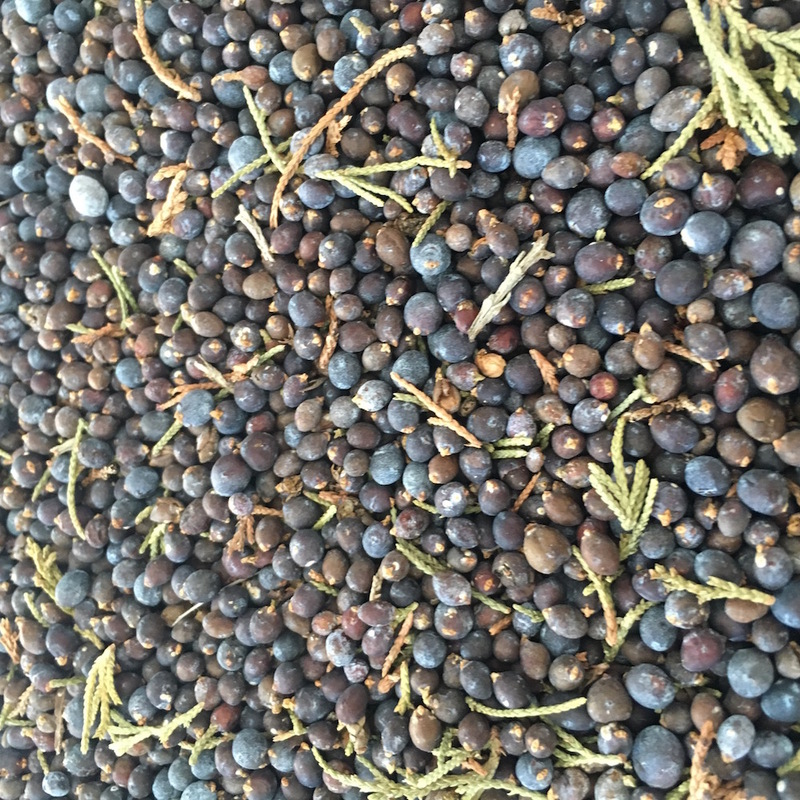 Dry Line gin is distilled once for a day, steeped with a blend of locally grown eastern red cedar juniper berries, common juniper berries, orange peel, lemon peel, anise, cardamom, coriander, Cape Cod cranberries, and angelica root, and then distilled a second time for a slower, more leisurely three days. Each batch yields about 1000 bottles, and in a nod to care of craftsmanship that runs through everything South Hollow does, the combination of square bottles and elegant notched labels means that each bottle has to be hand labeled. We'd drink it neat, or mix it in cocktails where gin is to the forefront. Unique both because it is the only of the three spirits that ages in wood barrels and because it is the only one that does not steep with a blend of spices or botanicals, the Twenty Boat Amber Rum looks like a desert wine in the glass thanks to the pale amber coloring that the barrel imparts. Many will be tempted to make a cocktail here, but this one is meant equally to be sipped on its own. It's reminiscent in large part of a whisky, though distinguished by flavors of molasses, maple, honey, and hickory syrup. We'd sit and drink it neat, though would also be tempted to try it as a Manhattan. 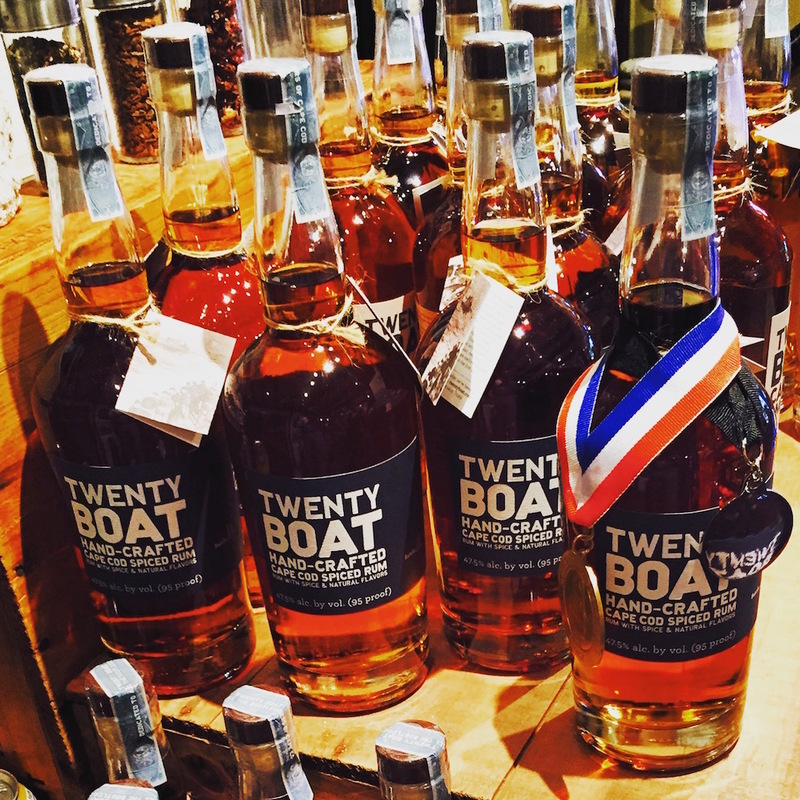 South Hollow's best seller by far, Twenty Boat Spiced Rum derives from a brilliant blend of rose hips, anise, orange peel, lemon peel, vanilla bean, cardamom, cinnamon, allspice, nutmeg, and chai from the Atlantic Spice Company just down the street. We're told that the precise blend was the subject of many months of labor and experimentation until the perfect combination was found. 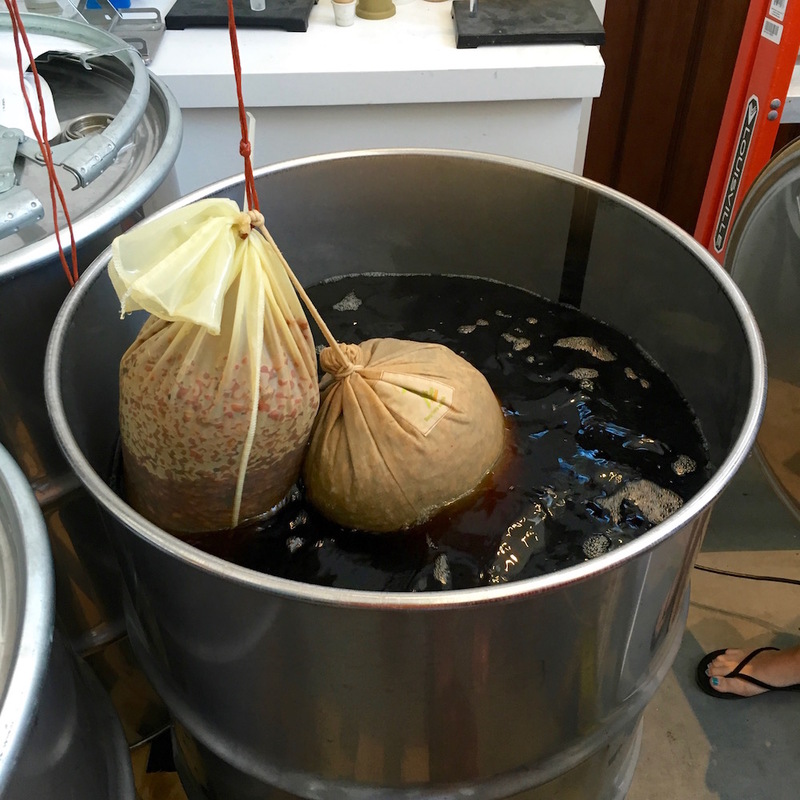 The steeping is insanely neat, with what look like giant teabags each containing various spice blends swapped in and out of the stainless steel barrel over a period of days. Brown sugar in the nose asserts itself on the palate with notes of maple butter that go down with a satisfying bite of warm spice. A crystallized, sugared quality reminds of delicate maple candy. Turn left as you leave to drive the block up the street to the Atlantic Spice Company, where you'll find all the rum spices and hundreds more herbs, teas, botanicals, and other goodies at wholesale prices with public storefront convenience. Reserve a table for two that night at Blackfish. Pick up some craft gourmet sweets from Chequessett Chocolate (next to the Salty Market). South Hollow Spirits is a remarkable part of a remarkable community. Don't miss it.